Scott Glenn, J.D., LPC, has been named vice president of asset protection at The Home Depot. Glenn was formerly the corporate vice president of asset and profit protection and chief security officer with Sears Holdings Corporation, where he was responsible for asset and profit protection, safety, business continuity and crisis response functions, as well as online fraud prevention and payment systems. He began his career as an intern analyst with the US Department of the Treasury – ATF in 1990 before joining Target’s asset protection team in 1991, where he served as an executive team leader. He then joined TJ Maxx as a regional investigator in 1996, managing ORC and high-level internal investigations. 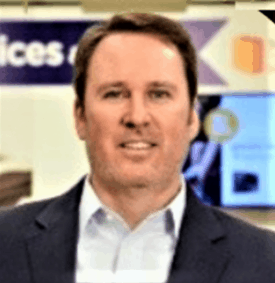 In 1998, Glenn moved to Kohl’s Department Stores, accepting roles of increasing responsibility and assuming loss prevention leadership as director for the southeastern and mid-Atlantic regions. Glenn joined Sears Holdings in 2008 as divisional director of loss prevention and safety, was promoted to senior director of loss prevention operations, finance and analytics in 2009, divisional vice president for Kmart Corporation in 2011, and then to corporate vice president of asset & profit protection and chief security officer in 2013. Glenn is active throughout the loss prevention/asset protection community, serving as an executive board member with the Loss Prevention Foundation, editorial board member with LP Magazine, and board member with the Retail Industry Leaders Association (RILA). He holds a bachelor of science degree in criminal justice from the University of North Carolina at Charlotte, and executive juris doctor in law from Concord University School of Law. The Home Depot is the world’s largest home improvement retailer with nearly 400,000 orange-blooded associates and more than 2,200 stores in the United States, Canada and Mexico. The typical store averages 105,000 square feet of indoor retail space, interconnected with an e-commerce business that offers more than one million products for the DIY customer, professional contractors, and the industry’s largest installation business for the Do-It-For-Me customer.